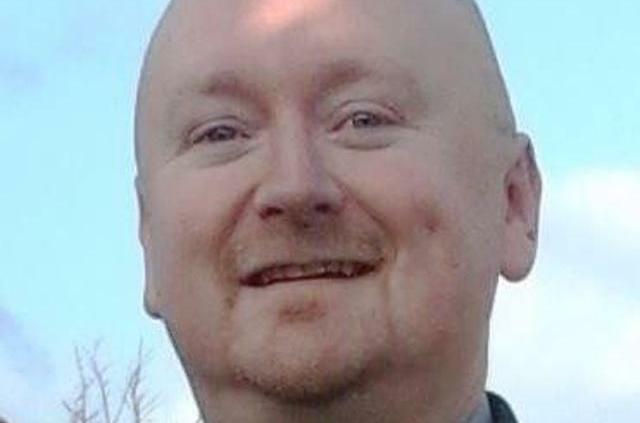 Just 9 days ago we collated all our information on Ukip's Jason Smith, a former Bradford Ukip Branch Chairman, now a self-styled 'hypnotist' and school speaker, and we wrote about him, with sources, data and relevant screenshots. But our major concern was Smith's position as Governor at the Bradford District Care NHS Foundation Trust. It was our view that someone with such hateful, racist opinions, should never be in a senior role in our multiracial NHS. We passed this information to the Foundation Trust for their consideration. Jason Smith did not react well to our article. After threatening to sue (we've heard nothing since) he demanded a right to email us a full explanation for us to print (we've heard nothing since). 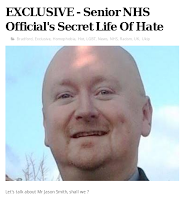 Well, news today confirms why we didn't hear from him : Jason Smith, suspended by the NHS Foundation Trust pending investigations, has resigned his NHS Post. As night follows day. Smith trotted the standard top three Ukip ewcuses, of course. "I was hacked, it was someone else. Or it was parody. One of those." The modern political equivalent of 'my dog ate my homework" or "a big boy did it and ran away." The Trust has a Clear Code of Conduct on the standards that we expect from Trust governors and clear guidance if these are not upheld. In line with our normal practice, we suspended Jason Smith from his role as Governor pending an investigation. Jason Smith has since taken the decision to resign from his Governor role with immediate effect. If the Far Right learn anything from this, it's that even their anonymous accounts, if vile enough, can be traced back to actual people, with a serious effect on future career and employment prospects.